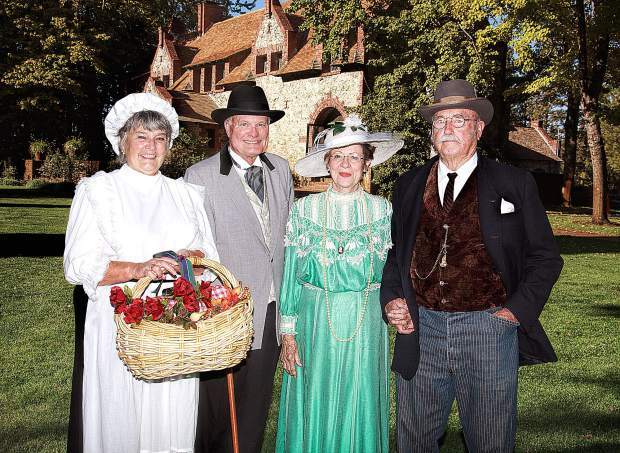 The Empire Cottage, the old Clubhouse, the Blacksmith Shop and Gift Shop will be open, and folks dressed in period clothes all add to the history of the 123rd Miners Picnic. The first Miners Picnic was held on June 5, 1895. 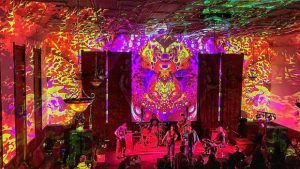 Hosted by the Mine Workers Protective League, the event helped raise money for miners’ widows and orphans, as well as injured and out-of-work miners. It was such a significant event in those early years, local businesses and mines closed for the day so everyone could attend. Today the event is hosted by Empire Mine Park Association to celebrate local gold-mine history. New for 2018 will be a beer garden near the Clubhouse. Besides beer, visitors may purchase food, snacks and treats from local vendors, including Lazy Dog Ice Cream and Cornish pasties (a favorite miners’ lunch). The Miners Picnic is one of the few times a year the public may also bring their own food, blankets and chairs, and picnic on the stately grounds inside the Park. A nail-biting mine rescue reenactment is scheduled for noon in the Mine Yard, and everyone’s encouraged to cheer on the old-time rescue vehicles racing to save the injured miners. World-renowned Izzi Tooinsky is scheduled to perform his juggling-and-history show on the Clubhouse stage at 1:15 p.m., followed by local band Midnight Acoustic who will be making their debut appearance at the mine. “There’s an impressive array of entertainment throughout the park,” Sanchez said, “including magic, Dixieland jazz, a barber shop quartet and more. We even have a group of donkeys and their mini-horse friend all dressed up to go prospecting. They’re a big hit with everyone, especially the children. To add to the history, Empire Cottage, the old Clubhouse, the Blacksmith Shop and Gift Shop are scheduled to be open. Visitors will also appreciate the vintage cars on display. 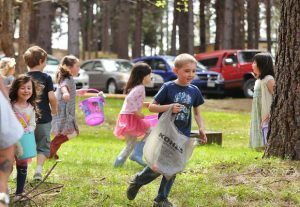 The 123rd Miners Picnic takes place at Empire Mine State Historic Park on Saturday, with special activities from 11 a.m. to 4 p.m.
Parking’s free. Children under 6 are admitted free — and everyone’s invited, including well-behaved dogs on leashes. Call 530-273-8522 or visit http://www.empiremine.org for further details. Courtney Ferguson is Empire Mine Park Association’s Outreach Coordinator, as well as a freelance writer.